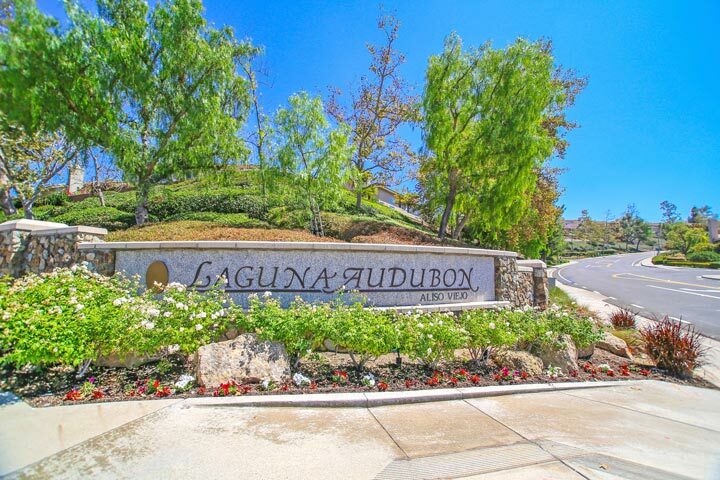 Laguna Audubon homes are located in the coastal community of Aliso Viejo. The Laguna Audubon community covers many residential neighborhoods in Aliso Viejo which include Hillcrest, Laguna Vista, Seacliff Court, Seacoast Terraces, Seacove Place, Seacrest Heights, Seacrest Villas, Seagate Colony, Seascape Villas, Seaway Collection, Seawind Ridge, Skyline and Westridge. It was first developed in the late 1980's and features many single family home and residential townhouse communities. Below are the current Laguna Audubon homes for sale and for lease in Aliso Viejo. Please contact us at 888-990-7111 with questions regarding this area and any of the homes listed for sale here..